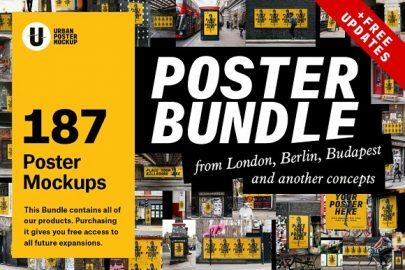 Looking for artistic inspirations for your poster? 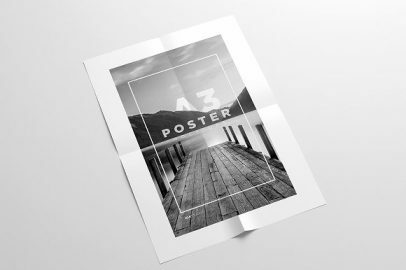 Then you’ll love these awesome PSD poster mockup templates. The best part about working on these fun projects isn’t just the ease and convenience that these design layouts offer. It will be very satisfying to see the awesome works that you’ll create. Watch as your work of art gets freshly printed. It will be truly pleasurable to have it framed, wrapped, and mounted on the wall for everyone to see. Do you know what’s the most fun project that a graphic designer can work on? Posters! It calls for creativity; something that many graphic designers possess. It digs into the imagination; again, something that designers have a lot of. Now take those two and you allow them to open another portal; another realm in which they love to visit. Their psyche. Making posters is a seductive area in art. Give an artist a blank canvas and permit them to create their magic. With the right inspiration, you’ll be in awe at what they’ll come up. It can be stirring, breathtaking, and powerful. Would you want to experience the pleasure and delight of creating something that’s visually remarkable? It can be very satisfying to have your works of art printed and displayed. But you don’t have to go to art college to create your posters. 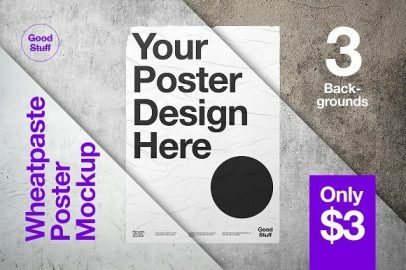 Make your brain and eyes happy with these awesome PSD poster mockup templates. 3 Have a good design idea for your poster. 4 Focus on the message you want to convey. 5 Seek inspiration from life in general. 6 Observe the rule of fives. 7 Champion the brand you’re promoting. 8 Set the images to scale. 9 Letting your main design stand out. 10 Keep your poster design simple. 11 Love what you do. Posters play a significant role in promotion and advertising. We often see them in movie houses, theaters, malls, and even in schools. They are visual tools that help spread the word to the target audience. But they can be pieces of art too. 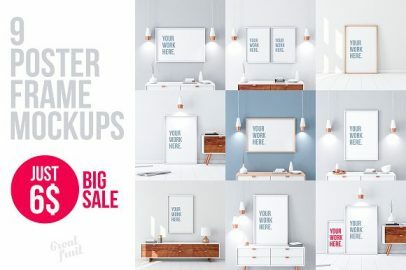 If you’re looking for the best PSD poster mockup templates, you’ll love what we have here for you. What’s great is that these are available for FREE download. These amazing PSD poster mockup templates are perfect for graphic designers, budding artists, and enthusiasts. 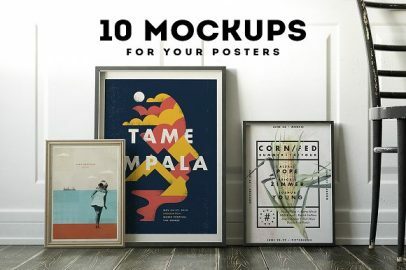 Whether you’re creating posters for yourself or someone else, these templates can give you the exact look and feel that you want for your posters. In this set, you get different mockups of varying sizes and shapes. Whether you like it horizontal or vertical. You might want to bookmark this blog for your future artworks. This article features two sections though. The first section contains all the FREE PSD poster mockup templates while the second lists down the premium ones. Are you looking to create eye-catching posters? If you’re like us, we fell in love with poster design. Which is why we’re so excited with these awesome PSD poster mockup templates. But for you, we’re adding a few tips on how to improve your art pieces. We’d like to share the knowledge we gained along the way for anyone who’s looking to get into poster design. If you have advice or pointers to add, feel free to leave it in the comments section below. Have a good design idea for your poster. Every design you create begins on the drawing board. An eye-catching poster doesn’t manifest just like that. It is carefully planned and sketched. So think about what illustration you want to incorporate in your poster design. Fill your draft with sketches. Allow yourself to make mistakes. Scratch off a few errors you make along the way. It’s OK. It’s just a draft. Focus on the message you want to convey. Now once you have the main illustration set for your design, think of the aesthetic of the lettering. Some may start their design with the words and letters. But if you ask us, we prefer to start with the main illustration then work the letters after it. Seek inspiration from life in general. What better way to evoke your artistic side than to get inspired with what’s happening in your life. Some artists get their motivation from their hobbies or from their private lives. Observe the rule of fives. A couple of designer friends told us about this one. The rule of fives is this: your poster should be as impactful as it is at 5 inches or 5 feet as it is at 50 feet. So perhaps you need to focus on the emotion as well as the visual striking effect from these varying distances. Champion the brand you’re promoting. This pointer particularly applies to graphic designers creating posters for someone else. So if you’re helping with a brand campaign, it pays to believe in the brand you’re trying to promote. Embrace it. Believe in it. Only then will you truly create some magic with your design. Set the images to scale. Explore the scale of the visual elements. But if you must, you may add varying scales to add interest to your image. Letting your main design stand out. Normally posters for company logos and such only have minimal visual elements. But if you’re creating a poster that contains a main image along with a sea of other visual elements, you may have a challenge in your hands. So the key here is to make your main image stand out. To do this, apply brighter colors and high contrast. Perhaps make the pattern more distinct and its size bigger. This allows for a better attention-grabbing trait. Keep your poster design simple. We can’t stress this enough. Keep it simple. Your design is beautiful even if there are only a few visual elements in it. You don’t have to bombard it with stuff that does nothing but overpopulate the canvas. There is a careful balance between adding the right elements and losing the integrity of the message behind your poster. For one, superfluous visual elements compete with the main image. As a result, the focal point of your poster has to fight against these elements to get the attention of the viewer. Stick to one focal point. Also, make sure it’s easily digestible. Keep it easy on the eyes to spot, even at a quick glance. If it feels like work, it will be a struggle. If you struggle, your creativity and imagination will suffer. Love your “work.” Enjoy what you do. That’s what makes the creative juices flowing.